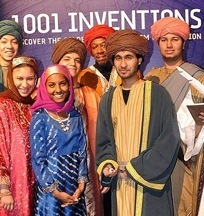 Mr Zakri Abdul Hamid reflects in this article the thoughts that occurred to him after visiting the exhibition "1001 Inventions" in New York Hall of Science. He concludes it by formulating a wish that the Science, Technology and Innovation Ministry in Malaysia may consider to bring the exhibition "1001 Inventions" to Malaysia to coincide with the "Year of Science" in 2012 that the ministry will organise. During the classical Muslim civilisation, big scientific advances in medicine were made. Muslim doctors began by collecting all the medical observations and theories of their predecessors, especially Hippocrates and Galen, and built an original and influential tradition of medical knowledge. This article presents selected episodes from this tradition, thus proving its richness and wide scope. Beginning by briefly setting the historical context, the author then then to Al-Zahrawi, the "Father of Surgery", Ibn Zuhr, the Doctor of Seville, Ibn Rushd, Doctor and Philosopher, Ibn Maymun, a doctor in exile, and finally the discoverer of the "secrets of the heart", Ibn al-Nafis al-Dimashqi. During the end of the first millennium, Cordova was the intellectual well from which European humanity came to drink. These works alone however, didn't kindle the fire that would lead to the Renaissance. They added to Europe's knowledge, but much of it was unappreciated without a change in the way Europeans viewed the world. The Economic Theory of Ibn Khaldun. Ibn khaldun is a fourteenth century Muslim thinker who has written on many subjects, including the rise and fall of nations in his “Muqaddimah: An Introduction to History”. No one in the history of economic thought has established such a coherent general economic theory to explain and predict the rise and the fall of civilizations, nations and empires as Ibn Khaldun has formulated in his “Muqaddimah: An Introduction to History”. WASHINGTON – In a fresh outreach bid by the Obama administration to the Muslim world, US Secretary of State has launched an exhibition on achievements of the Muslim civilization through ages. The 1001 Inventions “honors the remarkable accomplishments of Muslims throughout history,” Clinton said in her pre-recorded message posted on the State Department’s website. The exhibition, which has attracted more than one million over the past year, is set to open Friday, May 27, at the California Science Center in Los Angeles for a seven-month run. The “Muslim world has a proud history of innovators,” Clinton said, citing the achievements of prominent Muslim figures like Fatima Al-Fihri who founded the world's first modern university in the ninth century. She also praised 13th century mechanical engineer Al-Jazari whose theories on crank mechanisms were helpful in driving every plane, train and automobile in the world nowadays. Clinton also cited Iraqi physician Ali Ibn Nafi who is also credited for inventing the diagram of the human circulatory system in 1242 CE and being the first to have accurately described the part of the cardiovascular system involving the heart and lungs. Originally funded by the British government and launched in the United Kingdom in 2006, the “1001 Inventions” exhibition is on a five-year global tour, which has already taken it to London, Istanbul and New York. The “1001 Inventions” exhibition highlights contributions by Muslim scholars to the development of astronomy, math, architecture, medicine and engineering. It features exhibits spanning Muslin thinkers in different fields of medicine, optics, mathematics, astronomy, higher education, library science, personal hygiene and even the basics of aviation. It also shows the works of some of history’s finest scientists and scholars who once extended from Spain to China and lightened the world from the seventh century. Organizers say the exhibition’s new tour aims to show the world the contributions of the Golden Age of Muslim Civilizations in different fields of science. "We're honored that Secretary Clinton agreed to launch our exhibition here at one of the most prestigious science museums in the world,” Salim Al-Hassani, Chairman of 1001 Inventions, said in a press release. The book, "The Timeline of History", published during the fourth quarter of the 20th century, documents historical facts by establishing a linkage between people and events, and records introduction of the first organized news service in the Muslim world by the Caliph in 650 C.E. It also mentions the availability, in 942 C.E., of approximately 1000 stations of postal and news services to the public in the Caliph's Empire. This timeline does not provide any details. These milestones provided advanced communication between the various strata of the Muslim society in the Muslim world. 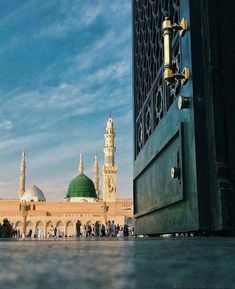 The Divine message of 'Read' and spread the word of Allah, was taken to heart by the Muslim Ummah during the life of Prophet Muhammad, may Allah bless and greet him, whose instructions and guidance brought a change in the lives of tribal and ethnic groups. This documentary describes the glorious rule of Muslim Moors in what is now Spain. A forgotten history is remembered. A nice video by Betany Hugges! Really nice documentary.Thank you for the link. 302 pp. The Penguin Press. $29.95. Ignored for the most part in Eurocentric accounts is the parallel culture that rose in the Middle East with the swift spread of Islam after the death of the prophet Muhammad in 632. Lands from Spain to Persia and beyond fell to the Muslim sword, and in time some ambitious rulers made their palaces sanctuaries of learning, the think tanks of their day, where astronomers, mathematicians, physicians and philosophers were allowed to venture beyond the received word and to practice science as an empirical inquiry. Jim al-Khalili, an Iraqi-born physicist who has lived in Britain since 1979, has taken on the task of elevating this neglected period to its rightful place in history. His new book, “The House of Wisdom,” reflects a depth of research, an ability to tell a fascinating story well and fair-­mindedness where minds too often are closed. Al-Khalili positions himself with care, more or less above the clash of civilizations but with unconcealed pride in his roots. He is the son of a British mother and a Shiite Muslim father of Persian descent, and was educated in England. As a self-described atheist, he declares up front, “My interest in Islam is cultural rather than spiritual.” He prefers the more neutral term “Arabic science” to “Arab science.” Some of the notable scientists were Christians, Jews and Persians, after all, and they had in common Arabic as the lingua franca. 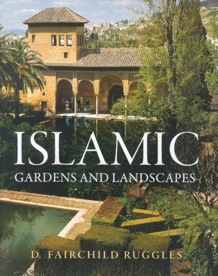 He also reminds readers that in early Islam there was no bitter conflict between religion and science and that the Koran encouraged the close study of all God’s works. Islamic teachers and imams in America have begun signing an open letter declaring that there is no clash between their religious faith and the theory of biological evolution. The Imam Letter, launched this week in the US, is the latest challenge to Creationists of the three Abrahamic religions who reject evolution in favour of Creationism. Creationism is the religious belief that all species were created in exactly the form they appear today. Biological evolution is a scientific theory which posits that modern species have undergone major changes over time and can be traced back to earlier species from which they descended. Muslims, Christians, and Jews who accept the theory of biological evolution believe that God can create life in any way he wishes, and this could be through a process of change over time. The letter reads in part: "We, the undersigned Imams of the mosques, assert that the Qur’an is the primary source of spiritual inspiration and of values for us... We believe that the timeless truths of the Qur’an may comfortably coexist with the discoveries of modern science."